How do you currently serving customer’s queries and support issues? √ By making phone calls? Stop using these time consuming process, Assist your website customers and visitors by providing instant support in real time with the help of Live Chat Software. Pro Data Doctor offers Live Chat Software that provides online interaction between the visitors and customer support executive of your website to resolve queries and enhance customer interaction. Live customer chat software is extensive application programs that offers 24*7 online assistance to website visitors and encourage higher level of confidence in customers for increasing products sales volume. 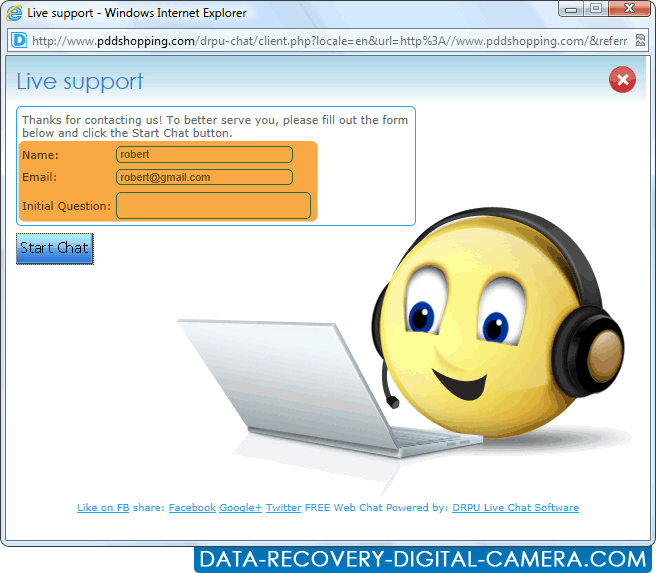 Why to choose Live Chat Software? » Real time online support to customers, Transform your website visitors to regular customers. » Maximize customer satisfaction and Boost online sales, Reduces operating cost. » No monthly charges and license renewal, User-friendly and interactive software interface. Transfer Chat - Allows operators to transfer chat to specialist support executive in case of some specific or complex customer queries. Address Multiple Visitors Simultaneously- Comparatively reduce staff cost by handling multiple visitor simultaneously. Operator to Operator Chat- Helps to provide most relevant information for customer satisfaction. Sound and Visual Alert Notification- Helps operators to respond the customers with minimum delay. Block IP Address- Allow you to stop visitors who are interrupting or wasting time of operators.